The Uganda Cricket Cranes have left for the Sanjay Farm Tour which will be hosted in India. A team of predominantly young players has been selected for the event as the Association continues to prepare for busy international schedule that is coming up. With the T20 World Cup qualifiers for men and women are coming up in May and the U19 World Cup qualifiers are due next month, the association selected the squad with player development in mind. The team that was flagged off on Tuesday left for Mumbai on Wednesday via Addis Ababa. They will stay at the Chikhil-based farm until February 24. 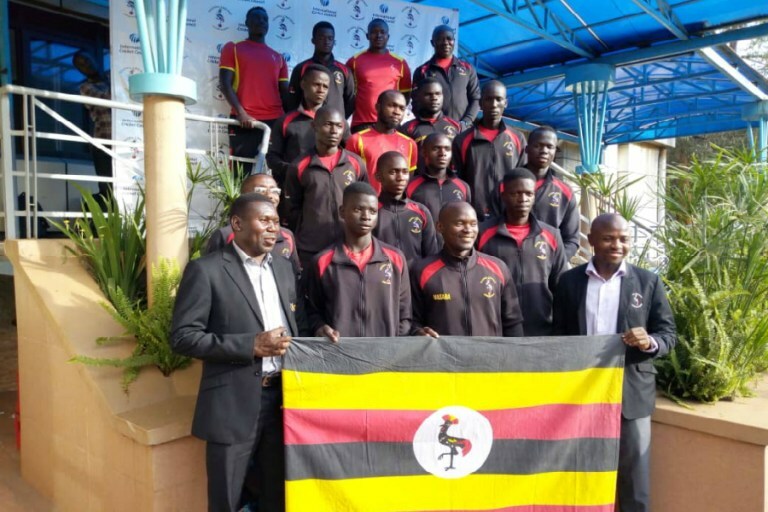 The squad includes seven U19 players; Trevor Bukenya, Ronald Opio, Juma Miyagi, John Gabula, Ashraf Ssenkubuge, Collins Okwalinga and Simon Oketcho. Their inclusion in the squad is part of their preparations for the ICC U-19 World Cup Qualifier in Windhoek, Namibia in March. The other eight members of the squad are; Arnold Otwani, Fred Achelam, Rogers Olipa, Derrick Bakunzi and Simon Ssesazi. The five are considered the future of Uganda Cricket. Tour captain Brian Masaba, all-rounder Deus Muhumuza and bowling all-rounder Emmanuel Isaneez are the seniors on the squad. Emmanuel Isaneez, Ronald Opio, John Gabula, Trevor Bukenya, Collins Okwalinga, Juma Miyagi, Ashraf Ssenkubuge, Simon Oketcho, Arnold Otwani, Brian Masaba, Deus Muhumuza, Fred Achelam, Simon Ssesazi, Derrick Bakunzi, Rogers Olipa.